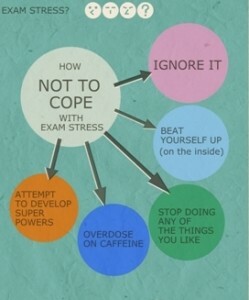 You can get back in control of your Exam Stress, let me show you how. Stress gets a bad press most of the time. Positive stress can increase self esteem as we learn to manage challenging situations and feelings increasing our confidence in our ability to cope with life pressures. Stress is an indicator that we need to take action, the burst of adrenaline can energise and motivate us to meet deadlines, accomplish goals, and gets us excited and ready for a new challenge. Joanna used a range of different therapy and counselling techniques that enabled all students to access her services, of particular note were the workshops she ran on dealing with stress and coping with exams. I run regular short Exam Stress workshops at schools throughout Trafford, Greater Manchester and Cheshire receiving great feedback from students and teachers. The Exam Stress workshop helps students learn how they can take care of themselves throughout this naturally stressful time in their lives. For parents, learn how you can best support your child in the lead up and during exam times. Workshops are designed to offer helpful coping strategies, information and handouts on resilience and Mindfulness. Bespoke workshops can be offered at your school or college for up to 40 students. Please contact me to discuss your requirements in more detail and for availability and group prices. Joanna has delivered numerous stress-management workshops across all year groups at Altrincham College over the past few years. She effectively tailors her knowledge and skills to meet the needs of the audience, regardless of age or circumstance. Very recently she has delivered a ‘Mindfulness and Coping Strategies’ workshop to Year13 students. This provided the students with an additional and invaluable measure of support in managing the pressures of their pending exams and final coursework deadlines.